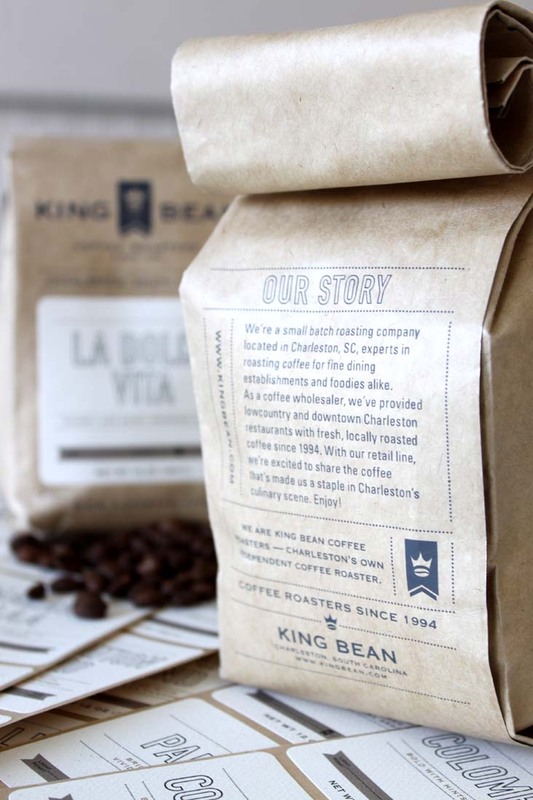 King Bean Retail Packaging « Stitch Design Co.
King Bean is a small batch roasting company located here in Charleston, SC. For the past 17 years, they have been experts in roasting coffee for restaurants and are now taking their fresh, locally roasted coffee to the retail world. 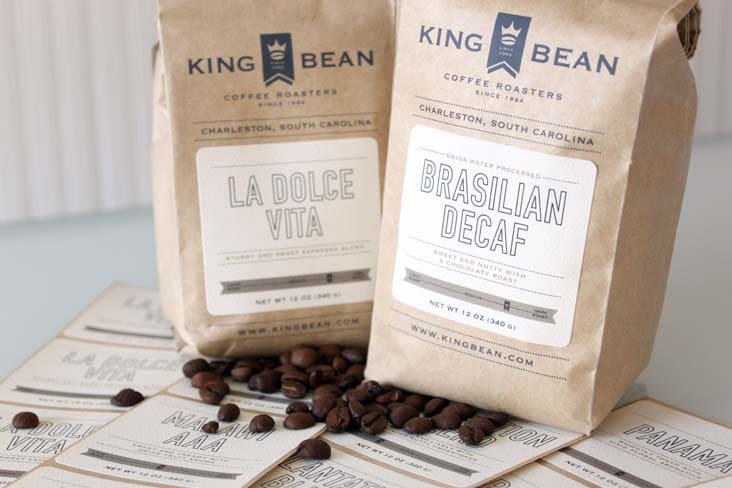 After recently rebranding King Bean, we were excited to work on this new venture with them. 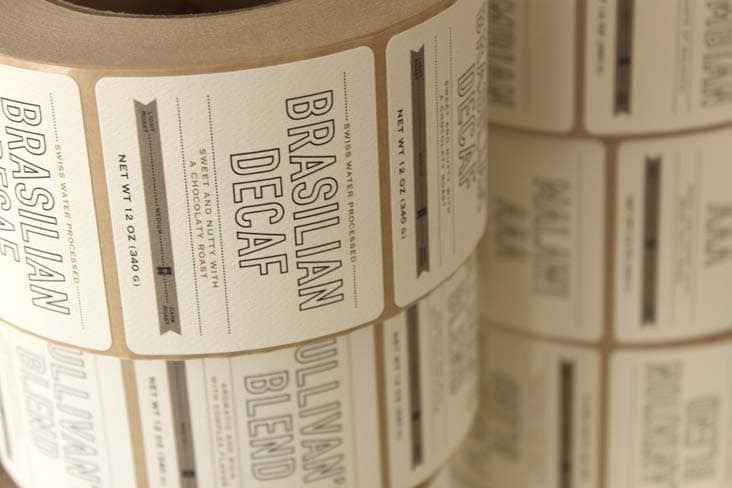 The bags are one color silkscreen printed, customizable labels.